With competence, dedication and openness, Dormer has developed from a traditional cutting tool manufacturer to one of the world’s largest producers of Soli Carbide and high speed steel cutting tools. Today , this enterprise, ISO-9001 and ISO 14000. certified or many years, has branches in over 40 countries worldwide. You can acquire Dormer tools from over 100 countries around the globe . is a global manufacturer and supplier of cutting tools for the engineering industry, including drilling, milling, threading, and turning tools. Its origin date back to 1913, making it one of the world’s oldest specialist manufacture’s of engineers cutting tools. The current entity formed in 2014 following the merge of Dormer tools and the IPS Group ( Impero– Paramer– Safety). The expended operation has 30 offices worldwide serving 100 markets and employs around 1,500 people. Dormer Pramet’s product range focuses on the general engineering sector and can be broadly divided into two: its solid cutting tools program and its indexable tools program. 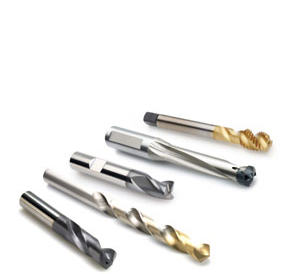 Ancillary ranges, including solid carbide burrs and cutting lubricants. Carboloy inserts are produced in facilities with the latest production technology for cemented carbide in Europe. Dedicated continuous research by leading metal cutting experts guarantee consistently high product quality. Carboloy products use a columnar Nano scale TiCN and a controlled crystal growth of alumina (Al2O3) in the CVD-coatings. These result in a fracture and wear resistance that is far superior to conventional coatings. The cemented carbide used for turning has a controlled cobalt content varying from the center to the surface, which makes the grade both tough and hard. Carboloy uses PVDcoatings for their grades that are based on state of the art Nano-structural PVD-coatings with a high content of aluminum. 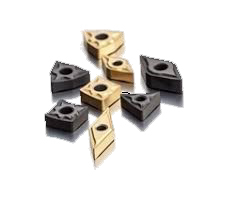 These unique coatings are combined with submicron substrates with optimized hardness.